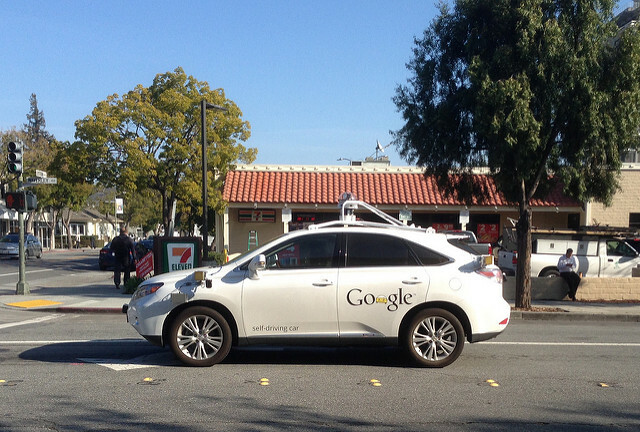 Self-driving cars look set to change the face of driving forever. Although the technology is still in its early stages, it’s developing rapidly and more and more drivers are turning to autonomous vehicles. Advocates of the technology say that it will reduce congestion on the roads because we will no longer have a car for every person, instead, we’ll share cars that will drop off and pick up like taxis. That means there is less traffic and less pollution, especially if those cars are also electric cars. The other major benefit that people talk about is the reduction in accidents. The thinking behind it is that human errors cause accidents and if you can take that away, you won’t have anywhere near as many accidents. The computers that govern the self-driving cars can communicate with one another so when all cars on the road are autonomous, they’ll be aware of one another and should be able to avoid accidents. However, studies into the general public and their opinion of self-driving cars show that a lot of people don’t really trust them. In general, they don’t feel as though the software in self-driving cars is effective enough and they wouldn’t feel safe giving over their control to the car entirely. But are people right to mistrust autonomous cars or will they really mean the end of car accidents forever? Autonomous cars have been in the news a lot since they first came about and not always for good reasons. There have been quite a few instances of accidents that have been directly caused by the software in self-driving cars going wrong. For example, the Uber self-driving car recently killed a pedestrian and they’ve been known to run red lights and break other traffic laws that put people in danger. There was also a case of a self-driving car going directly into the side of a white truck because the sun was reflecting off it and the cameras didn’t pick it up as an obstacle. So, it’s clear that the technology is far from safe. The response from manufacturers in a lot of these cases is that the human operators of the car should have been in control still. The law states that you still need to have your hands on the wheel and be ready to take over the car. So, if you’re hit by an autonomous vehicle, you might still need to call a car accident lawyer because somebody is to blame and it isn’t you. There have been a lot of cases of people breaking the law and letting the car drive while they’re doing something else like watching TV. Opponents of autonomous cars point to their inability to make moral judgments. For example, if a car is in a situation where driving straight would injure the driver, turning left would hit another car and turning right would hit a pedestrian, how does the car make the decision. Judgments like those need to be made by a human and the car might not make the right call. At the moment, it certainly doesn’t look like autonomous cars are going to put an end to accidents anytime soon but in the future, when all cars are self-driving and the technology is improved, there should be a big reduction.